Everybody has a dream. Only 3 out of every 100 people will actually do something about that dream by acting on the vision. Unfortunately, 9 out of 10 people attempting to launch a new enterprise, whether a business or a charity, will fail without achieving that dream. What’s the difference? 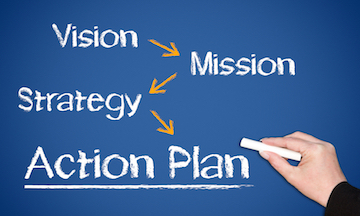 It’s having a plan and surrounding yourself with a competent team to implement that plan. The first priority, however is equipping yourself for the journey. Develop your skills to lead, implement the plan, and build the right team. And, by the way, equip yourself to build the income that you deserve with this enterprise. I have been glued to the television every night for the Rio 2016 Olympics and have been massively impressed with our American athletes! They are highly skilled, masterfully trained, and consequently highly successful. Each successful athlete has a very competent coach. This is the same for professional athletes, actors, musicians, and business professionals. They all have a coach and train for success. We would never consider running a 26.2 mile marathon without training our bodies and minds for the task. Then why do we even consider starting and running a business or charity without having a coach and a content specialist mentor? That’s why over 90% fail…they lack the ability to lead the enterprise, as defined in the D & B research in 1995. There’s an alternative. I have coaches, therefore I do what I teach. If you are running a great enterprise, and are facing burnout and not making the income you deserve, then let’s chat. I’ll give you a free power strategy session of 25 minutes to assist you in reversing that paradigm.